Get ready for a sensational day packed full of possibilities with the Marc Jacobs® Logo Strap Pack Shot Backpack. Backpack made of strong 100% saffiano leather with a smooth PU coating. Dual adjustable webbing and chain-link shoulder straps with embroidered brand name logo. 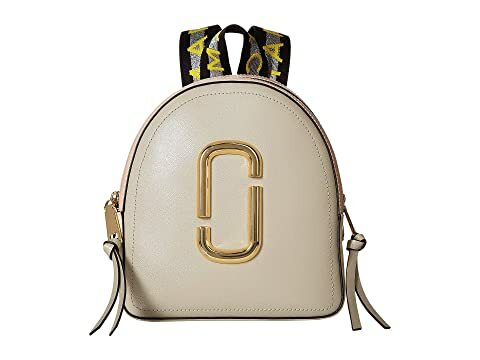 We can't currently find any similar items for the Logo Strap Pack Shot Backpack by Marc Jacobs. Sorry!